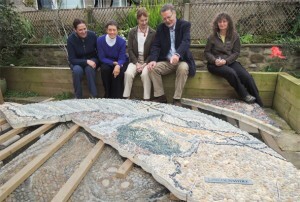 Although the idea of a geological map was put forward a number of years ago in a Gardens Group meeting, as one of many suggestions which were being considered to celebrate the 2022 Bicentenary of the YPS, it was not until 2014 that Martin Watts, then Director of Knowledge at the Yorkshire Museum suggested we use this project also to to celebrate the 2015 bicentennial of William Smith’s map. In June 2014 Rod Leonard was asked to take on the role of Project Manager, and set up several teams of volunteers to help him – the Steering Team, to provide oversight, the Project Team to deal with day-to-day aspects, and the Fundraising and Celebrations Teams. 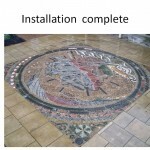 We were delighted to announce that we had signed an agreement with Janette Ireland, who makes pebble mosaics, to design and fabricate our walk-on geological map. The selection process was not easy, as opinions were divided with cogently argued points on both sides, but after much careful thought we eventually chose Janette, who is a very talented designer, and we are sure will be able to create a work of art of which we can all be proud. 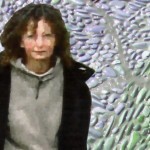 Janette visited York to see the place where the map will be installed. 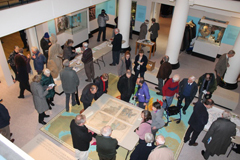 During this visit the Yorkshire Museum team were able to show her their own copy of Smiths map, which has since been sent for renovation, prior to being put on display to celebrate the bicentenary of the maps publication. 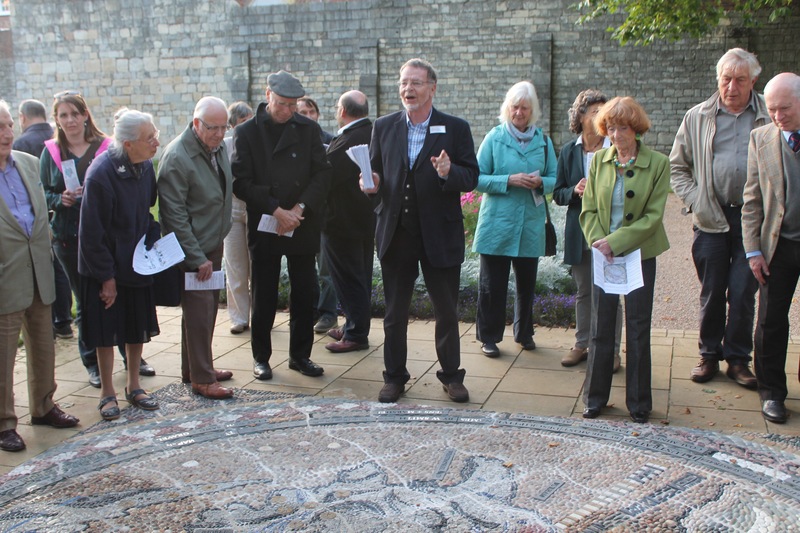 As part of the William Smith celebration lectures, YPS members and friends were able to view the final concept drawing of the William Smith walk-on  map planned for Museum Gardens. The occasion was the YPS lecture given by John Henry of the Geological Society, the first of a series of William Smith lectures celebrating the 200th anniversary of the publication of his first geological map in 1815. It was attended by some 240 members and friends. 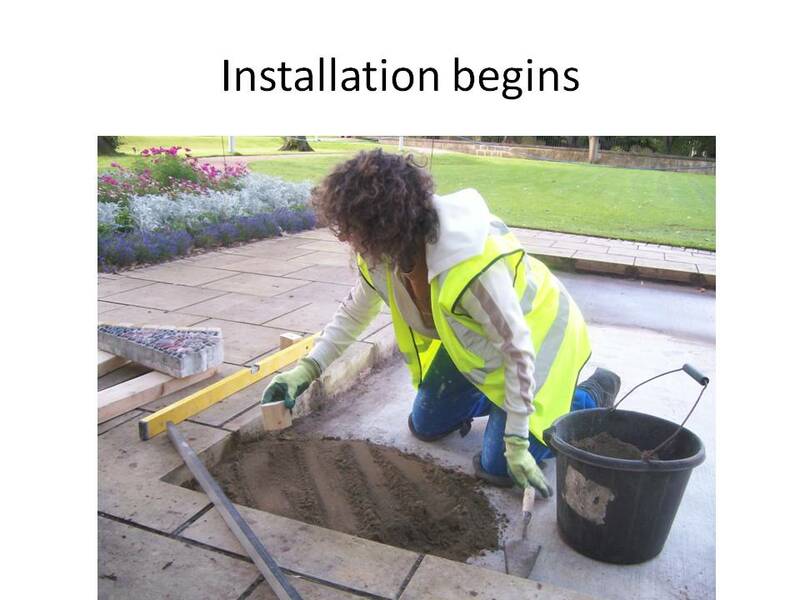 By this time designer Janette Ireland was making good progress on pre-fabricating the blocks which will fit together to make the Geological Map which will be installed in Museum Gardens. Her latest photo showed Spurn Point and the mouth of the Humber, giving an idea of how exciting the colours and textures would be in the finished project. 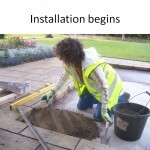 Meanwhile, work was proceeding on laying the paths and the concrete base for the map in front of the pavilion behind St Marys Abbey. The Geological Map team  Rod and Margaret Leonard and Vivien Ireland for the YPS, Alison Pringle, Gardens Manager, for the YMT  recently visited Janette Irelands studio in Cumbria and were delighted to see a major section of the map already prefabricated. 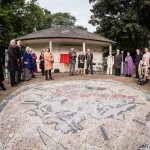 The engraving of the text, on black granite inserts, had been completed by a specialist in Scotland, and labels for towns and rivers were being inserted into the mosaic. 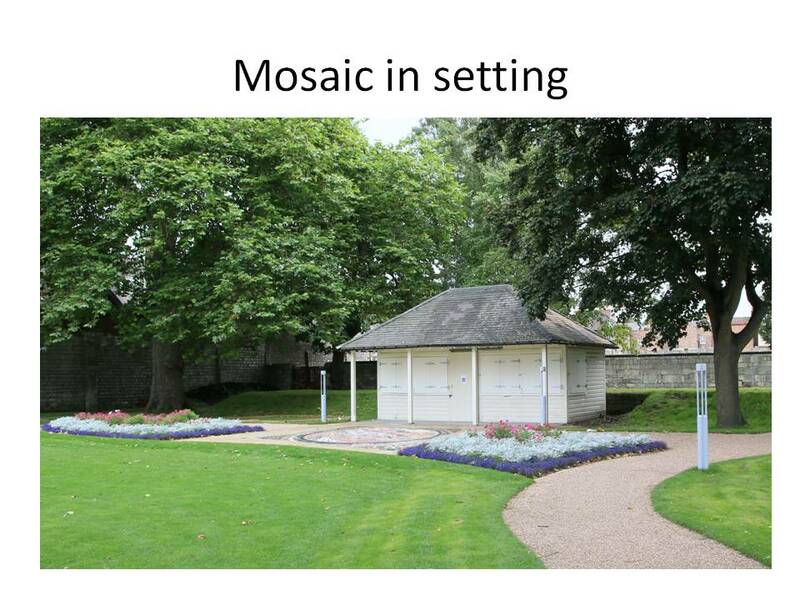 Back in York, the concrete foundation slab for the mosaic had been laid, and the paths were under construction. 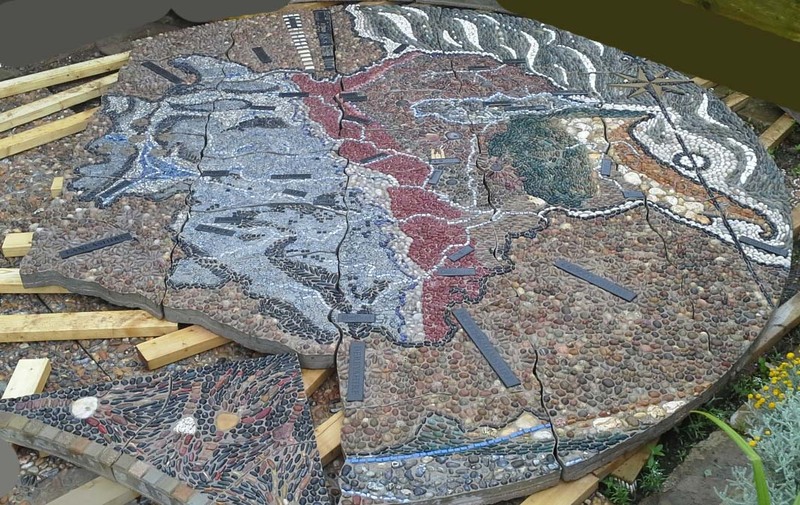 While all this work was going on, the project team were sourcing boulder-sized samples of each rock type to be placed in the adjacent flower borders, and on supporting the development of educational programs based on the map. August 2015: Map ahead of schedule! By the beginning of August it became clear the Walk-on Map could be installed by the end of the month, about 8 weeks earlier than the original schedule, and also under budget. 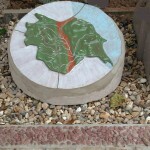 The paved area and temporary flower borders around the map location were all complete. Many representative rock specimens had been procured, and it was hoped that installation in the flower borders next to the map could start in September. Softer specimens such as claystones and shales would require stabilisation to slow the weathering process, and we were undertaking tests with commercial products to confirm that they will be beneficial. An extended project team were developing explanatory/educational leaflets, which will progressively be supplemented with more substantive educational material on the YPS website. We expected to have completed the first childrens leaflet and the first adults leaflet in time for the celebration events, and also to have made a start on the web information. In the course of the project, we made many valuable links with external organisations, both national and Yorkshire based, and mainly with a geological interest. This has raised the profile of the YPS, so we plan to build on these links in the future, and also to extend them into other areas of interest to the YPS. We had an centre-spread article on the GMP in Rockwatch (an excellent childrens magazine published by the Geological Association), and another in the newsletter of the History of Geology Group.Other pieces appeared in The Dalesman, the Yorkshire Post and the York Press. 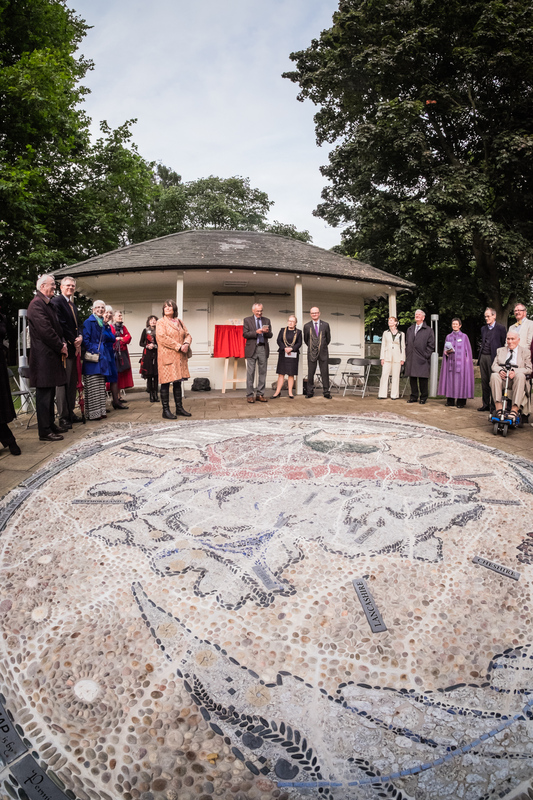 In a ceremony on Wednesday September 23rd, the Right Honourable, the Lord Mayor of York, Councillor Sonja Crisp unveiled a plaque acknowledging the major donors to the Geological Map project. The event commenced at 6 pm at the mosaic, where designer Janette Ireland, and members of the team were be able to answer questions. This was followed by a program of events in the Yorkshire Museum, culminating with the lecture Back to the Future of William Smiths map  meeting modern needs for geological knowledge by Dr Andy Howard, Science Director, B.G.S. and a special reception in the Atrium, by invitation only, for donors and other helpers. 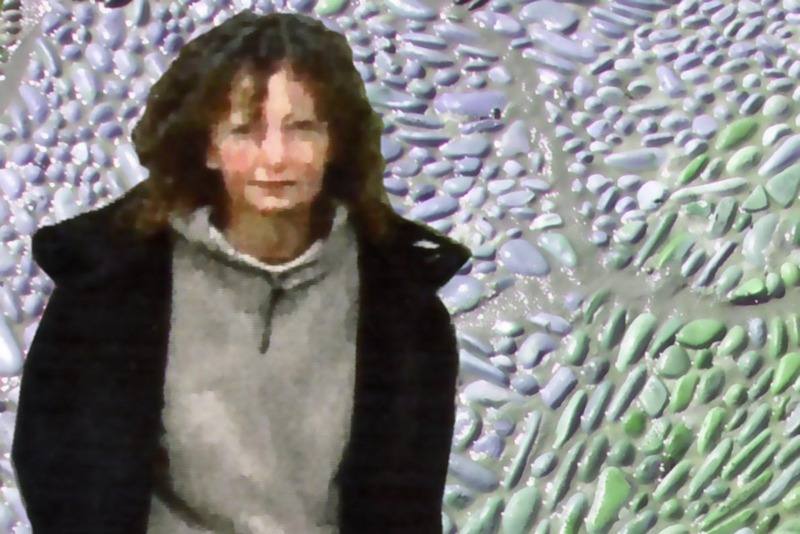 Our hope that we could put the samples of real Yorkshire rocks in the flower border by the side of the map in September of 2015 proved unfounded. 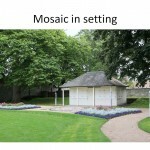 Although we had collected the samples, and most were placed in front of the pavilion, we realised that further work needed to be done before we could position them finally. One of our problems is that two of the rocks, shown by William Smith as ‘Clay with sand and gravel’ and ‘Red Marl’ are really clays. As simply putting lumps of clay next to the mosaic did not seem a good idea, we spent some time trying to work out how to represent these strata. 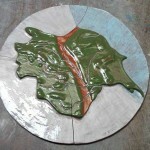 Potter Man’, Lee Steele, has come to our aid with his creative approach to ceramics. He listened to our descriptions of what we hoped to achieve, and after long discussions on possible approaches he fired our clay samples into attractive pieces which will be displayed next to the mosaic, along with our rocks. 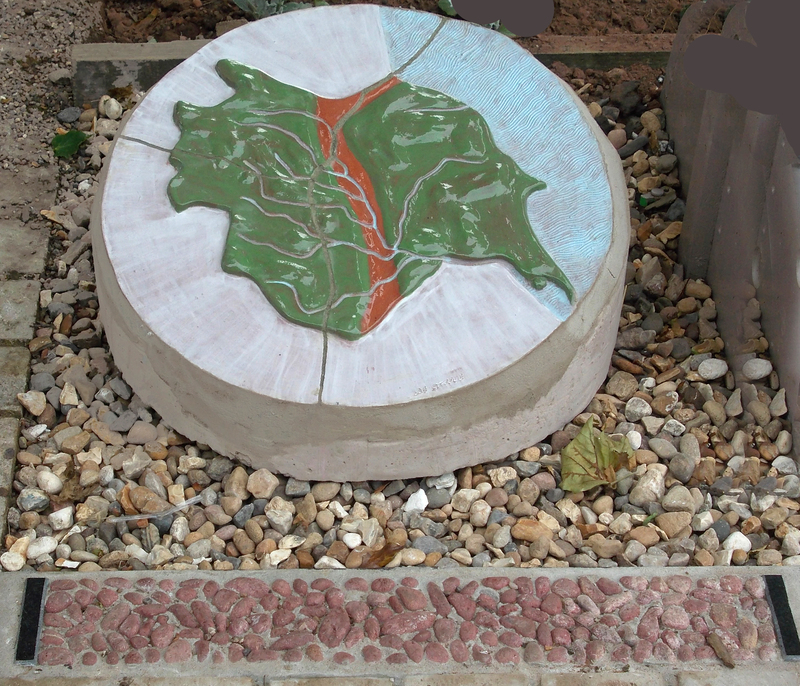 The ‘Red Marl’ (modern name Triassic clay), kindly donated to us by Alne brickworks, has been fired into a ceramic plaque, depicting Yorkshire. 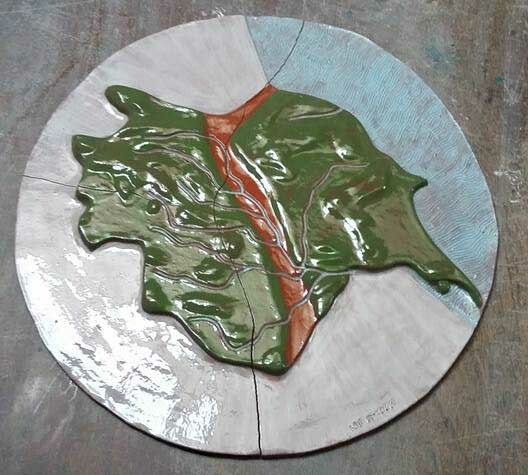 The plaque has been glazed blue for the sea, green for Yorkshire and white for the surrounding counties, but the the ‘Red Marl’ area, a strip down the centre of the plaque, has been given a clear glaze, to show the natural colour of the clay after firing. 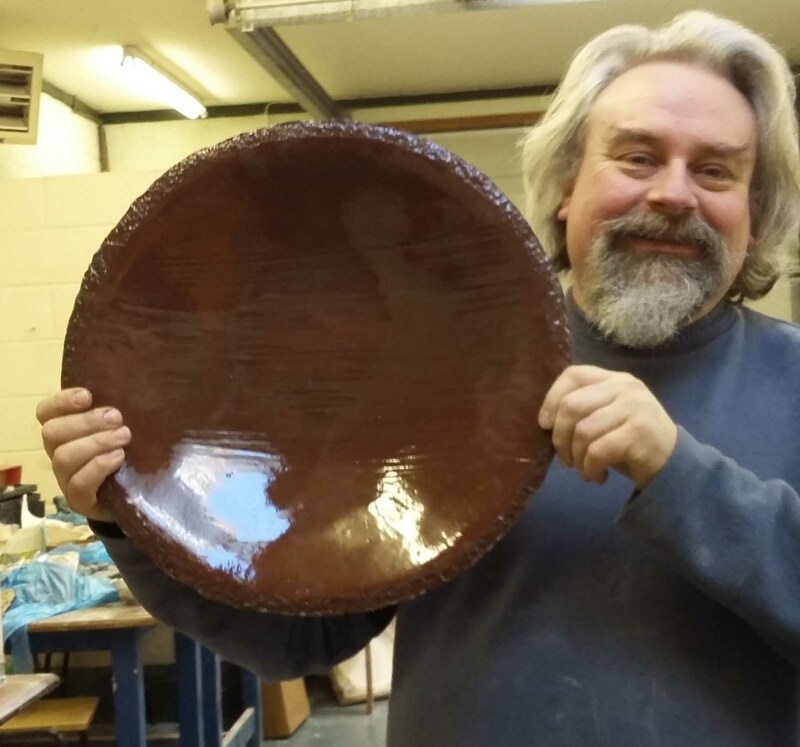 Lee Steele was very patient with this plaque, as it is not a type of clay particularly well suited for this type of work, and in spite of his best endeavours, cracked into three pieces. 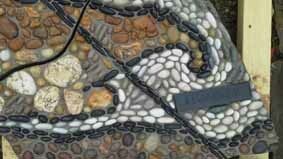 These however, still give an attractive effect, reflecting the sections into which the mosaic is divided. 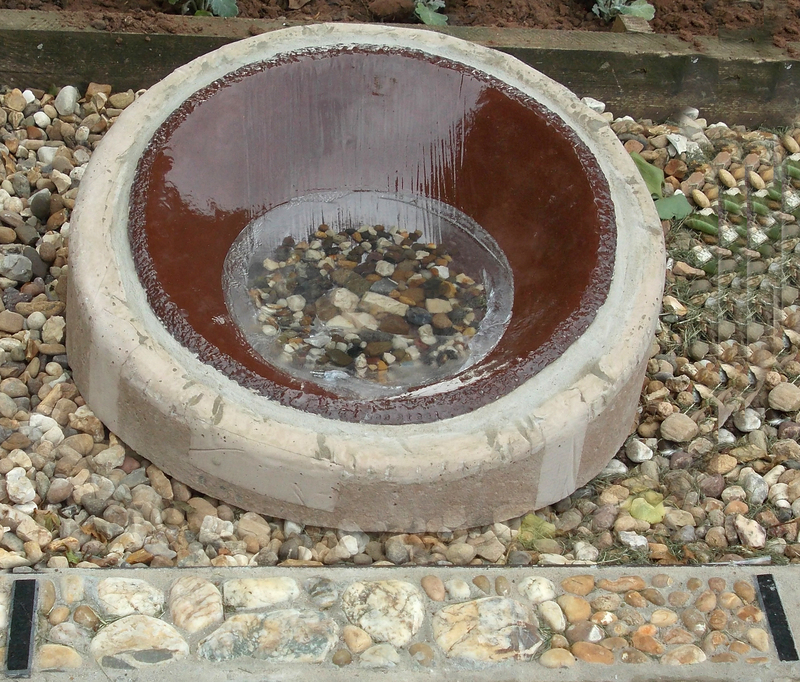 The ‘Clay with sand and gravel’, provided an even greater challenge. Our sample is boulder clay brought from Holderness by Geoff Hutchinson. 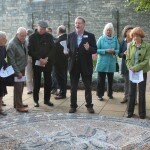 It contained, as William Smith description suggests, many stones of different sizes and types. In this form, it could not be fired, as it would have exploded in the kiln. Lee had to disperse the clay in water, and then sieve the stones out. 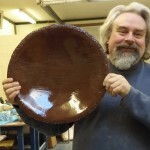 He was then able to create a large shallow bowl from the sieved clay, which has fired to a rich chocolate brown, quite different from the Red Marl. 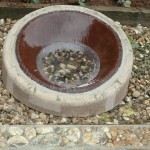 The sieve residue, an interesting range of stones, will be set in resin in the bowl. 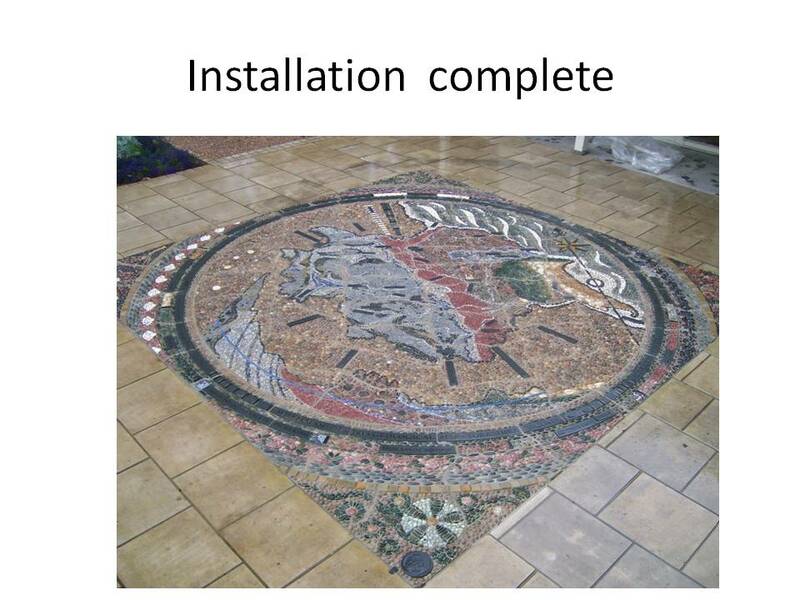 The final stage of the installation of the William Smith Geological Map mosaic was completed last week with the installation of the final rock samples in the surrounding flower borders. The last samples to be placed in position were two of the clays, which had been fired into attractive and interesting ceramics by ‘Potter Man’ – Lee Steele, as described above. These have now been set in protective concrete plinths.